Leave your impressions in the sand with this imprinted towel! The heavyweight towel is made from 100% Turkish cotton for a soft and luxurious feel. Patterned dobby borders and double shearing offer a classic everyday towel. Great for drying off after a dip in the pool, spa or bathtub! 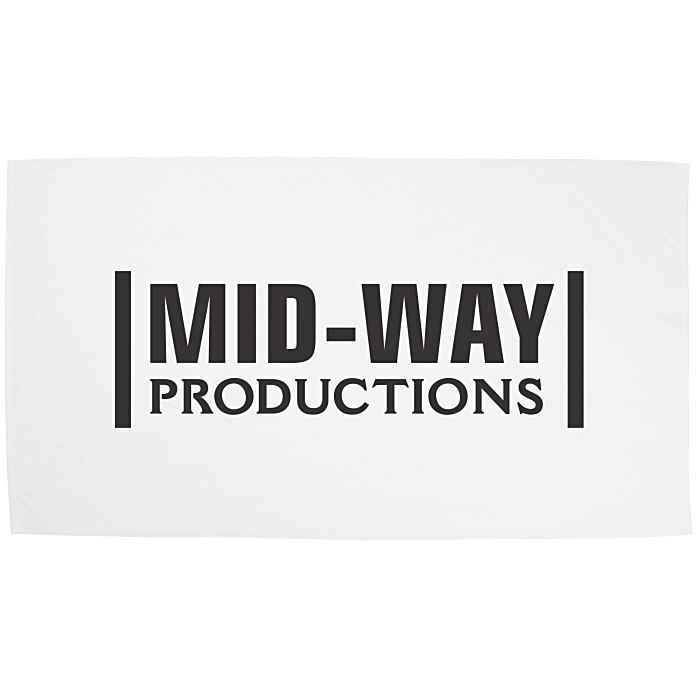 Your logo is the main focus of this crisp white towel—and the huge imprint area enlarges the effect. For this same towel in a variety of colors, see item #129758-CImpression Heavyweight Beach Towel - Colors. Your price includes a one-color imprint on the front of the towel.